Since the beginning, Instagram has been growing with a stable and increasing rate. It has now become something more than just being a simple and fun social media app for teenagers to post their photos. It has become a serious platform for marketing and networking of content. It is now capable of building an audience for organisations and individuals. Increasing the fan following on Instagram is tough, as there is a lot of competition from other pages as well. 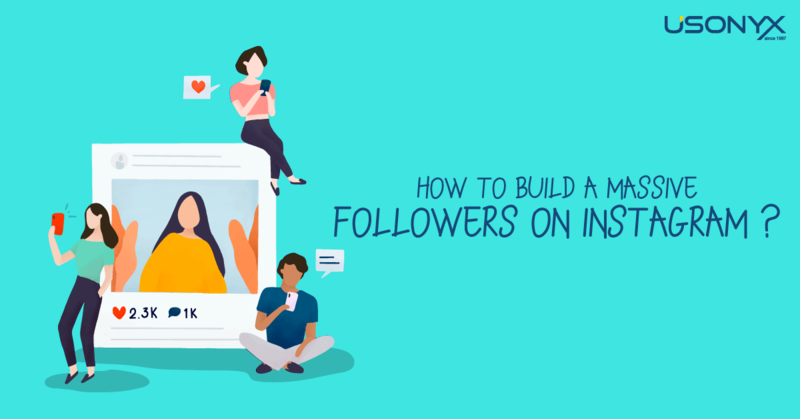 To help you out we have formulated few legitimate methods to build massive followers on Instagram. You should remove useless photos by editing your profile. People don’t follow profiles which have hundreds of images which have no meaning or purpose like photographs of food and other pointless, random clicks. Avoid putting simple and abrupt captions to the images you post. Your captions should rather ask questions which would engage the viewer to comment and like your post. You might have heard about using hashtags in the description of your post. You might already be using them too but then you probably are not using the right ones. Start by using the popular ones like #FF(Follow Friday), #Instafollowers, #L4L(like for like), #followback, etc. Some people will advise on not using too many hashtags but nothing can go wrong when you use more tags, so go crazy but make sure you add relevant tags first. 4. Be consistent about posting related content. Always post content which is related to your profile. This way the people who visit your profile will know exactly what to expect. For example if you post content about cars, then the visitors will have a look at your profile and will follow you knowing that you will keep posting automobile photographs and drifting videos. If you have just started on Instagram, then join Instagram engagement groups. Newbies can get around 2000 followers in a week. There are different engagement groups categorised under travel, beauty, fashion, automobile, etc. Thus, in these groups you will receive likes and and followers who have similar interests, but make sure to return the favour too. 6. Reposting content which belongs to others. This is a great way to increase followers. According to the updated policy of Instagram, you need to ask permission of the author before reposting. Make sure you mention the name of the person who posted it in first place so that you don’t get flagged. Repost videos and Images with Repost app which have lots of views and likes. This can boost your number of followers greatly. Go over to Instagram.com on your website open a post that you want to embed and click on the ”…” icon and select the embed option to copy the link. Eventually people who visit your blog will also visit your Instagram profile and will start following you. This option requires a bit if patience though. Start posting photographs at 2pm and 5pm as people are more likely to open the application at this time. One more thing that people miss out on is posting on Sundays. On Sunday there are not many people who post, but many who open the application. Hence, posting on Sundays will give your posts more visibility. Before posting content keep in mind the reason why you are posting and the people, the target audience, whom you are posting for. Always be consistent about the way you use Instagram as a platform. This will Increase your follower count naturally and consistently. There is no need to be afraid about posting more often. You might think that business profiles that post more often receive less engagement in compared to others, but you are wrong. Research suggests that there is no negative relationship between the frequency of posting and the engagement received in return. You can use Piqora. It shows you the types of photos which receive high amount of engagement. You can then post more of these images or about them. This is a very useful feature for increasing followers from your area or locality. If you are a local business, then geotag your photos. This way other people in your region be able to see your images when they visit their location’s page. In the end, all that matters is being unique and having real efforts, otherwise all these tips and tricks won’t be of much help. When you like and comment on the photos of other people be serious and intentional. Collaging your photos can also help in increasing engagement. It’s natural to be wanting to fit in the community but on Instagram you need to be different and unique while being appealing at the same time. Hosting giveaways attract a lot of attention, so if your profile has enough followers host giveaways of items related to your account. Remember that being consistent is the key to everything. Starting a website or online business? Try out our web hosting plans.